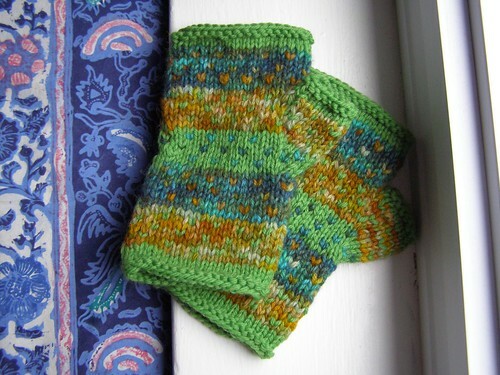 i’m thinking nice picot edges everywhere next time i do this kind of mitt. women’s small/medium – so alas, no picture of them in action. my roommate and i both have larger sized hands. 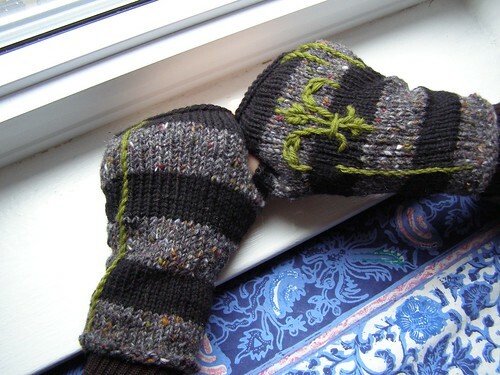 i’ve also come to the conclusion that the mittens i thought fit me, don’t actually fit. okay, okay – i was being optimistic when i thought that to begin with ;) wore them once and they certainly don’t fit. back to the drawing board. on the other hand, i wasn’t really making them for anyone in particular when i started them, so them not fitting me is not unusual. head sizes? got them down. mitt sizes? still working on them. I love the fleur de lis! Beautiful greens, nicely mottled. I LOVE them! And the fleur de lys as well. I love the green ones! 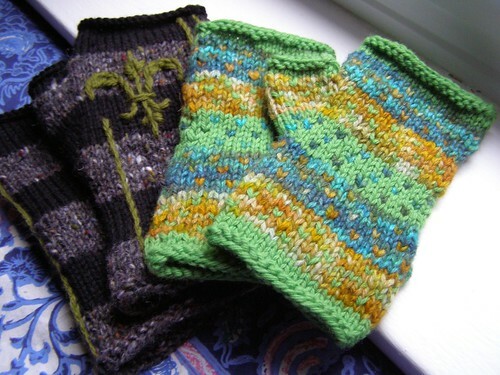 I need to make some reading mitts for my FIL, he’s bedridden and feels cold, but he still loves to read. His 90th birthday is in a few weeks. 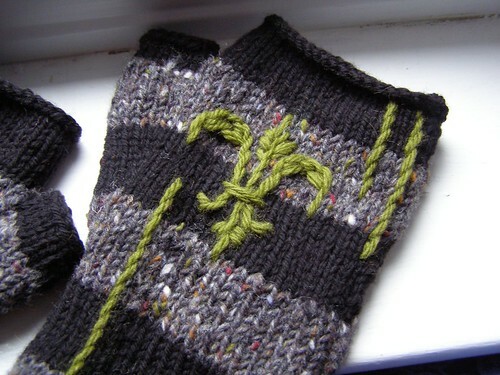 i agree, a picot would be wonderful edge on those mitts.